Quick and nimble, the Thunderbolt is total livewire. 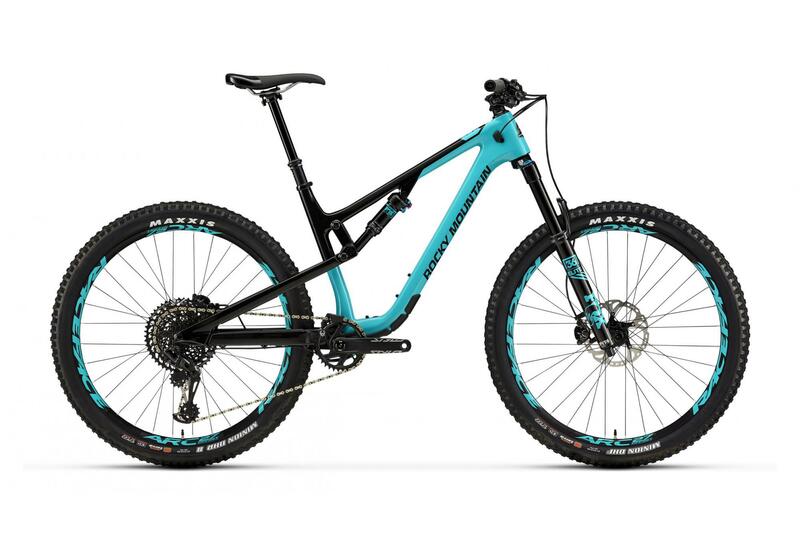 Whether it’s powering up technical climbs or popping off every trail feature in sight, its 27.5” wheels and 130mm of rear travel makes this bike ready and capable for when you’re feeling creative on line choice. The frame is available in both carbon and alloy, and our RIDE-9™ adjustment system gives you the power to further adjust geometry and ride characteristics to your liking. Thunderbolt BC Edition Carbon Frame. Fox 36 Float Performance Elite fork 140mm. Race Face ARC 27 / DT Swiss 350 Boost Wheels 148mm. Frame / Boost axis 12x148 mm. Sram GX Eagle 12 Speed Group.